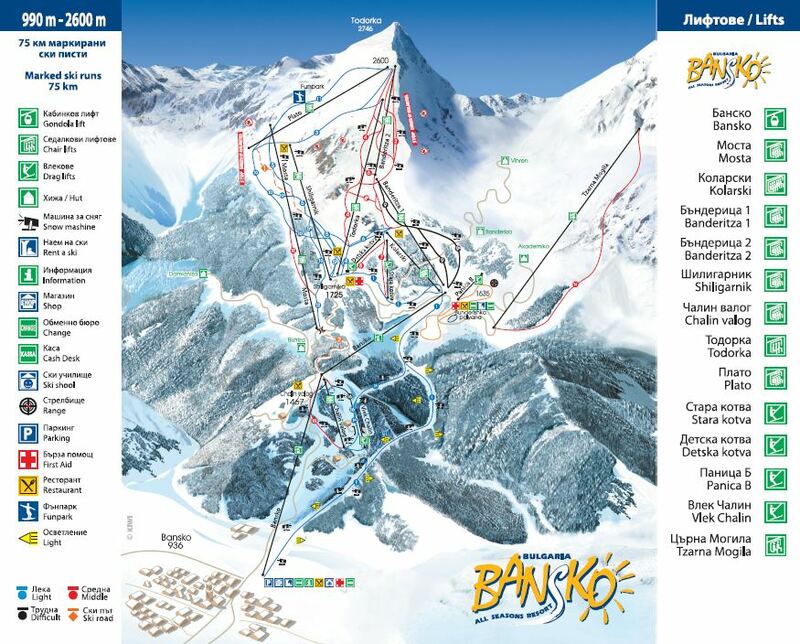 Check out the new updated version of the map of Bansko ski centre, which will be valid for ski season 2013 - 2014. The new map shows all recent developments and a detailed legend with information for the ski lopes and equipment in Bansko ski centre, Bulgaria. Click on the map to view bigger size.